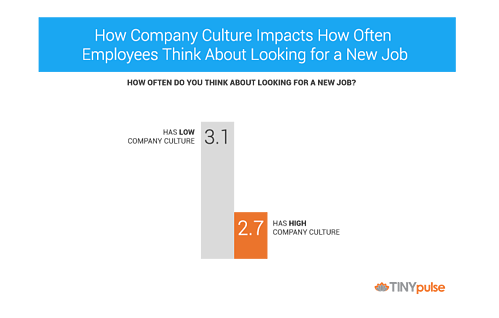 First, let's take a look at the relationship between work culture and frequency of thinking about a new job. Employees who gave their work culture low scores are nearly 15% more likely to think about a new job than their counterparts. People spend at least eight hours a day (if not more) at their job. And when you're spending the majority of your waking hours in a toxic environment, it will take a toll on engagement level. So it really is no surprise that people who are immersed in this negative environment are looking to jump ship. And then there's the idea of culture fit — the measure of how someone meshes with their peers and embodies the company's values. No matter how old we get, we want to be able to relate to our colleagues and our environment. 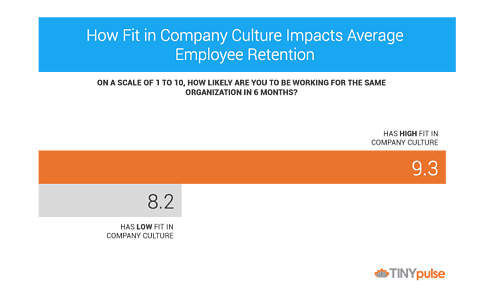 Employees who don't fit in as well are 12% less likely to see themselves staying their their current employer. So how do you fix this issue? 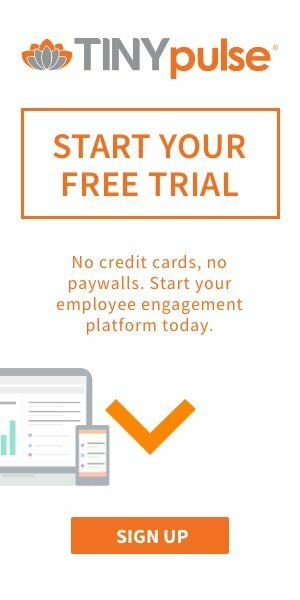 At TINYpulse, we require all job candidates to explain how they have exemplified at least two of our organizational values at their past jobs in their application. 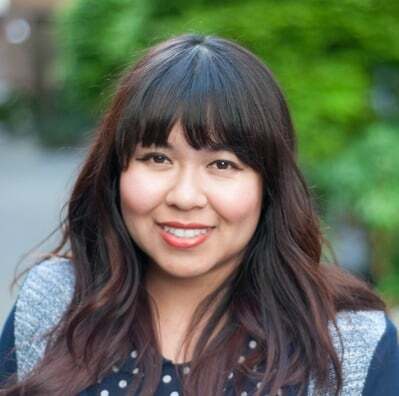 When we bring people in for interviews, they meet with the entire team, which allows existing members to gauge how well they would be able to work with this person. Raise your hand if you want to work at a dull, boring environment. Good chance you're lying to yourself if you actually raised your hand (but hey, everyone dances to their own beat). Socialization and the ability to have fun at work can turn some of these downers right-side up. 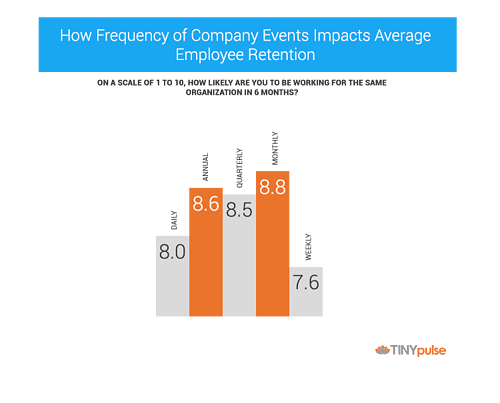 Employees who reported working for organizations that sponsor monthly, quarterly, or even yearly company events are more likely to see themselves working for their employer for a long period of time. Set aside some time for the team to go to happy hours, play simple games at the office, or spend a whole day doing volunteer work together. These types of team-building activities help employees become closer together and show how much their managers value and appreciate them.